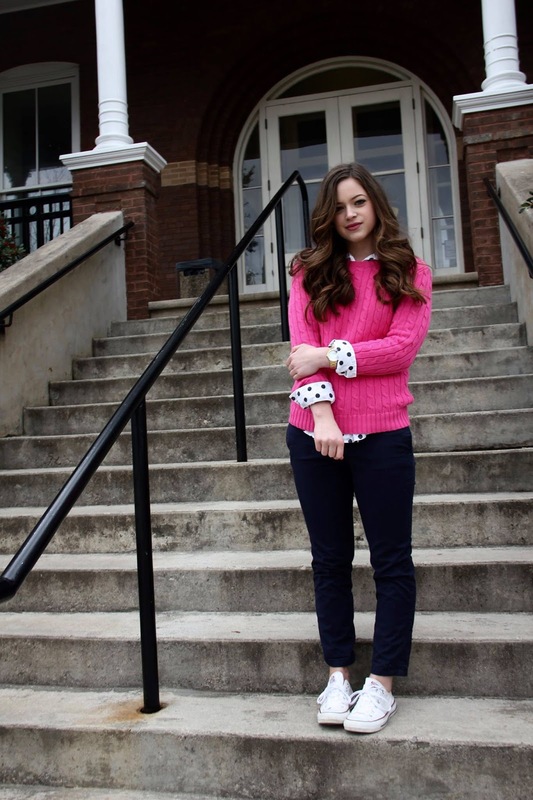 How did you enjoy my Valentine's Day lookbook? I promised another lookbook with more casual looks for those of us without Valentine's, and here it is! Anyone not have a Valentine this year? Or no where to dress up for the holiday? If you will be heading straight home after school or work and watching chick-flicks on Netflix and eating chocolates you bought yourself, you will be celebrating Valentine's Day the same way I am! But honestly I don't mind! I enjoy wearing hot pink on Valentine's Day each year to be festive, even if I will be going straight home afterwards. 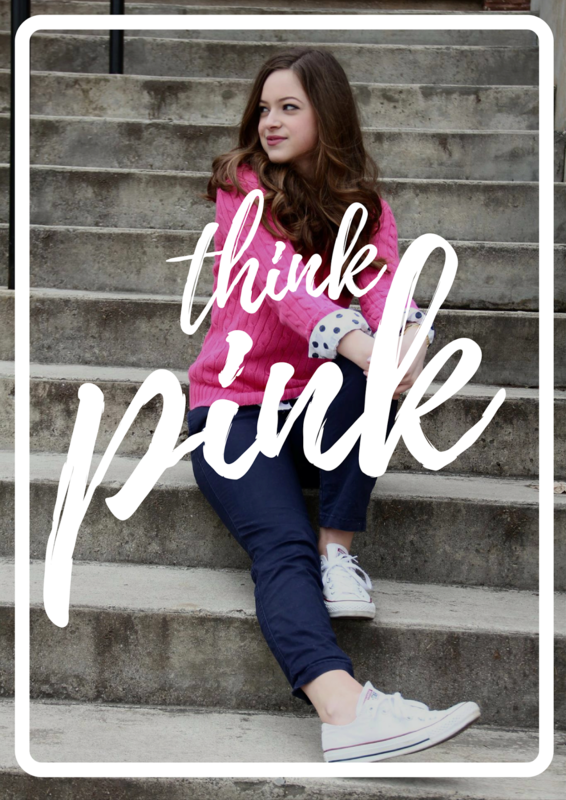 These are also great outfits for transitioning your winter wardrobe to spring, especially since the pops of pink brighten up a neutral colored outfit. I absolutely love this look. It's so nautical, yet so flirty at the same time. This is one of my favorite types of outfits to put together. 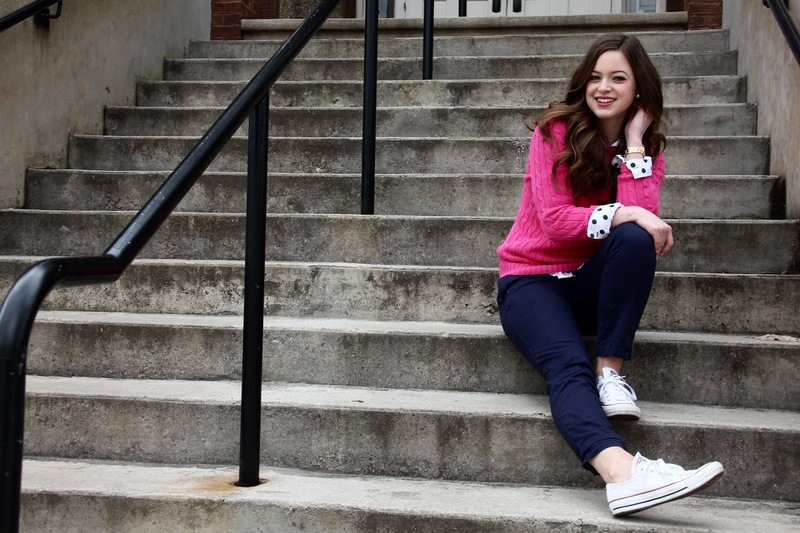 If you are ever in doubt on what to wear, throw on a sweater, button up, pants, and converse. Seriously so simple but can be taken in multiple directions! 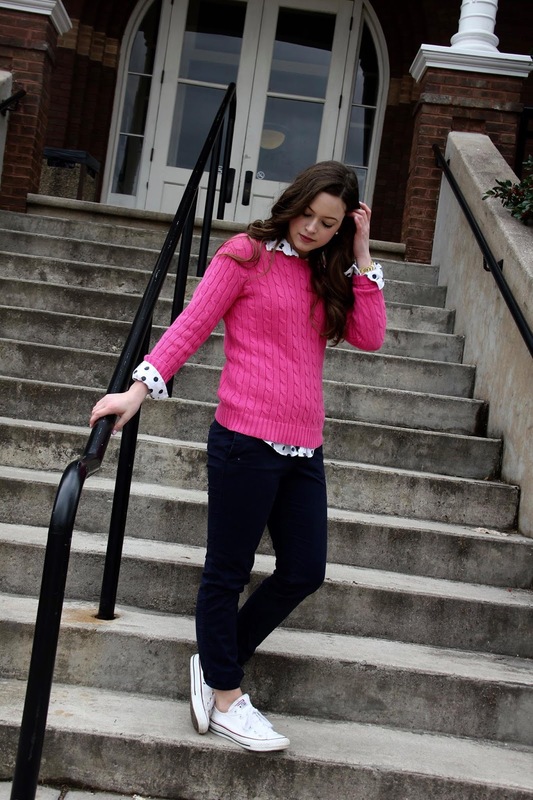 I threw on a cable knit sweater from Ralph Lauren Polo that I received as a gift from TJ Maxx. 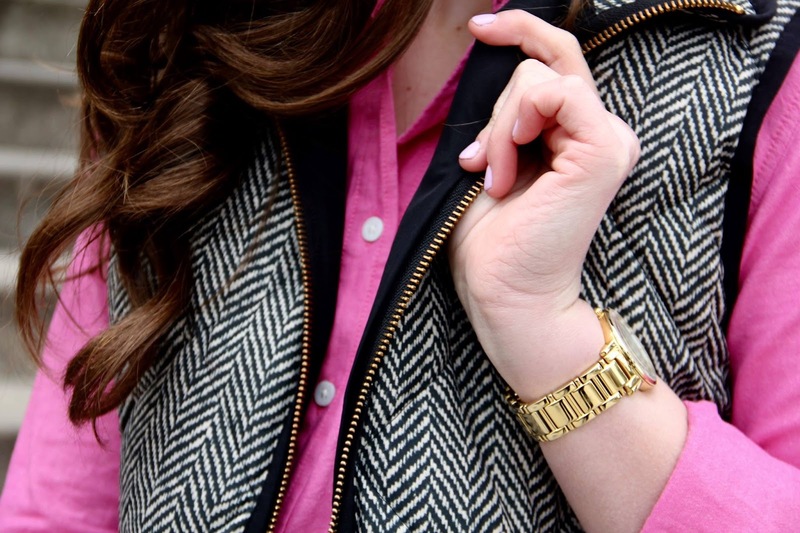 Cable knits are so comfortable and bring class to the outfit. 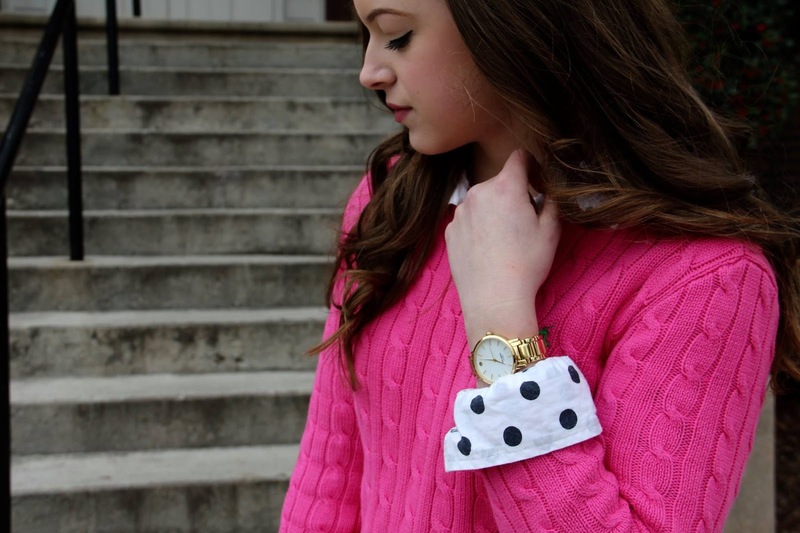 The polka dot button up is adorable, right? 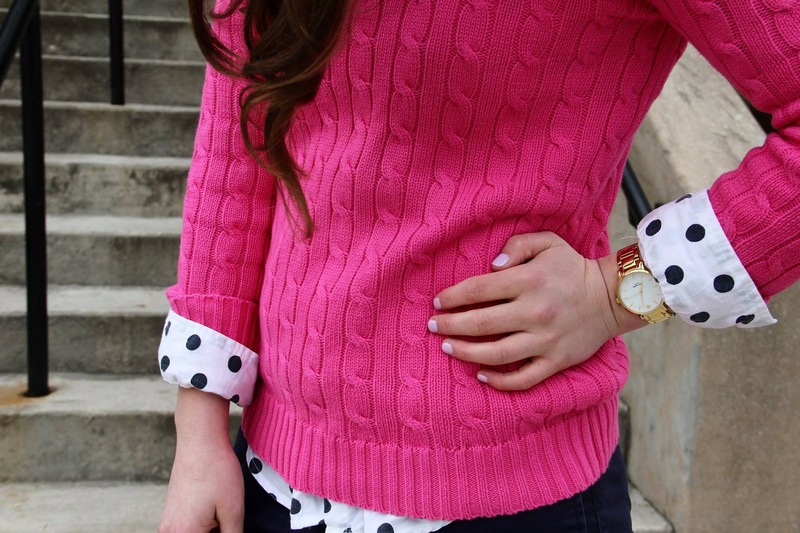 I'm a sucker for polka dots and I think layering them under a sweater and popping the color gives such a cute touch to this otherwise simple outfit. I also chose to go the navy route with this outfit, so I wore these nautical khakis from Gap, along with my white converse. As for accessories I went with my go-to Kate Spade watch and some pearl earrings. 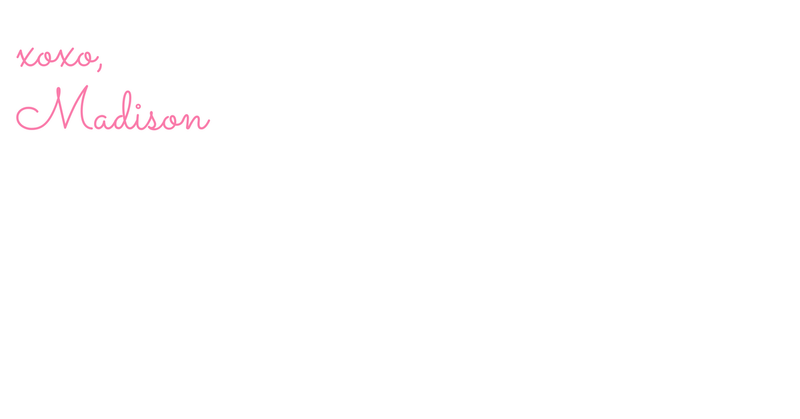 Also, if y'all would like to check out my makeup routine for blog photos (and everyday! ), I will link the post down below! 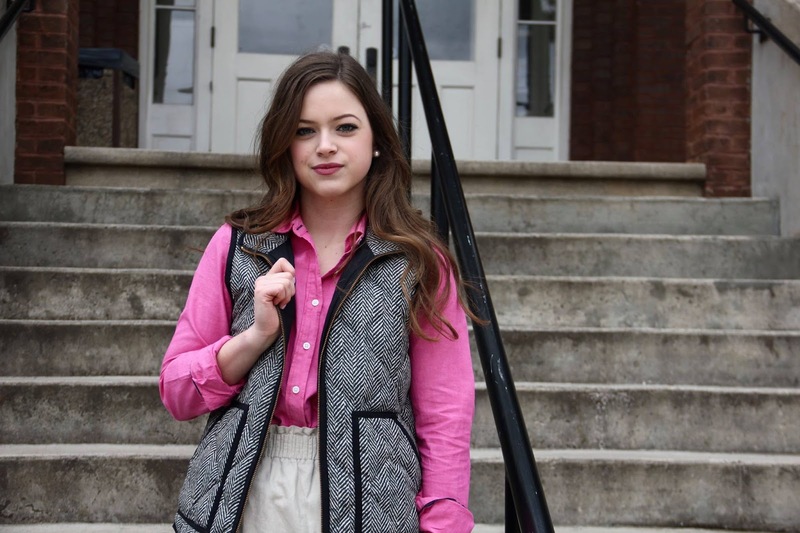 Here is take on basically the most pinned type of outfit on pinterest: the herringbone vest. 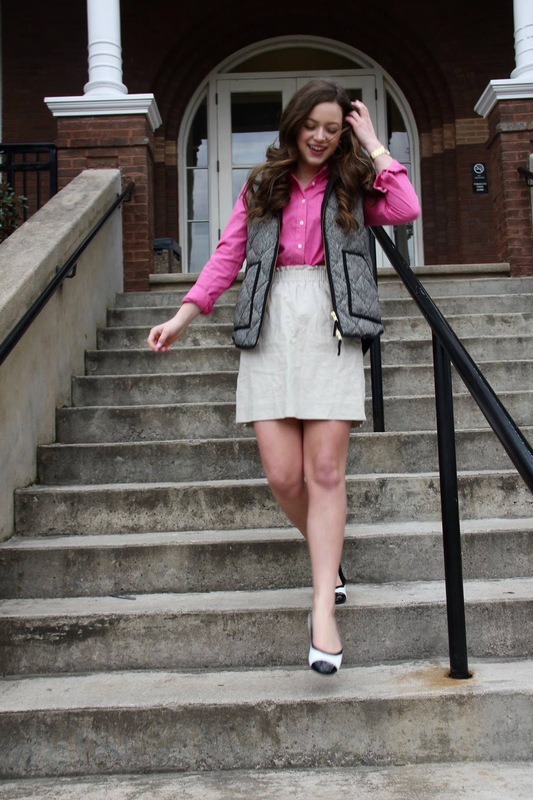 I think that this outfit is such a timeless look! I added a pop of pink that is perfect for Valentine's Day. And let's not forget about the cap-toed shoes. 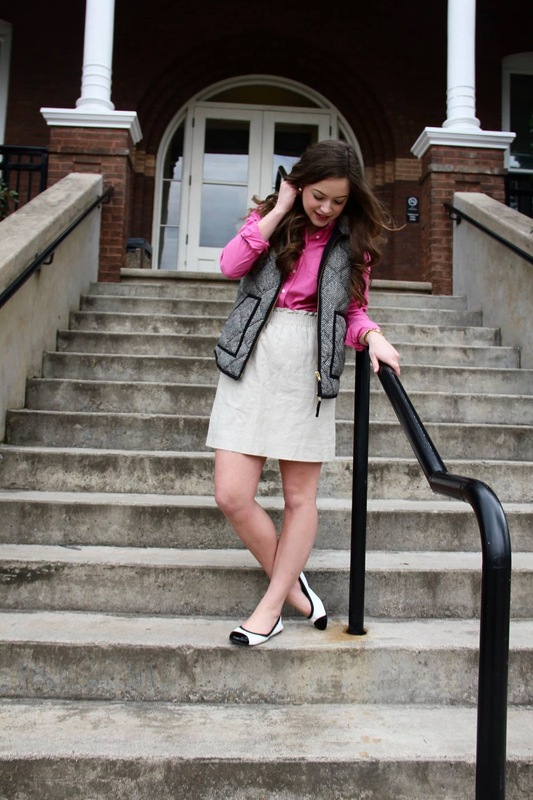 These scream Blair Waldorf and add such a flirty look to the outfit. 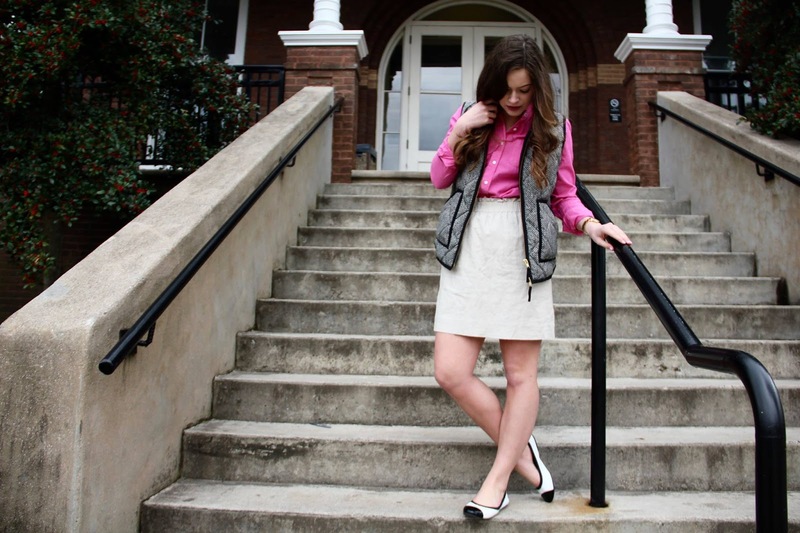 Who wouldn't want Blair Waldorf shoes on Valentine's Day? 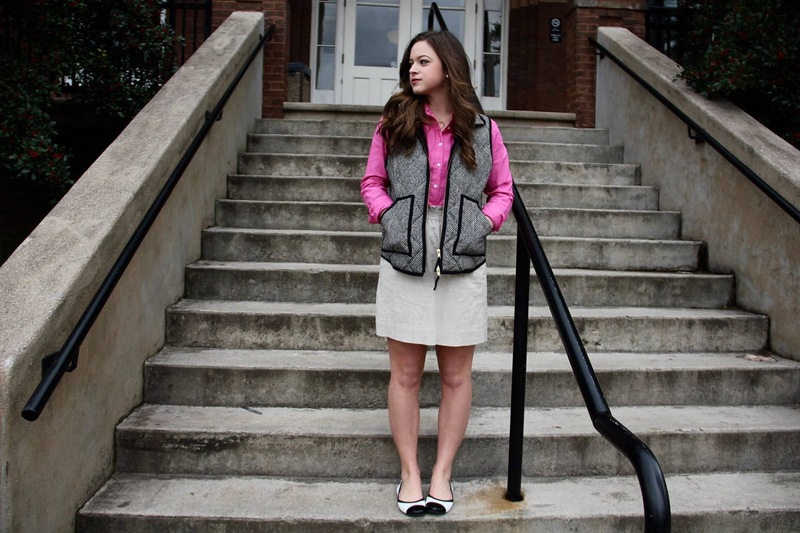 I also think the black and white of the shoes goes really nicely with the hot pink button up. I love the color combination! Thank you so much for reading! I hope you all have a wonderful Valentine's Day! Please be sure to check out my previous post here. Also, if you would like to see my everyday makeup routine that I use for blog posts, click here. I also have one request for you all: please take a minute to fill out my viewer/reader survey so I can see what I need to improve on my blog. You can find that on the Contact page or here.